Motivated by the large supply needs identified in most African countries, our group was established in the year 2006. Our market studies indicated that, in most cases, local distributors in each country had great difficulty accessing the quality products that their customers demanded. Africa Trading Group seized the opportunity and created our own distribution company based solely on imported goods from Europe and the United States. Thanks to this distribution, of premium goods, Africa Trading Group quickly became known in our markets and, soon after, emerged the first opportunities of collaboration with key local distributors in each country. Our partnership with these crucial local distributors has become our main line of business, aiding us in the process of introducing and positioning new products. Africa Trading Group has become a benchmark in our markets, for imported products (as Africa Trading Group is already present in a diversity of sectors, such as: food and beverages, personal hygiene, fragrances, cosmetics and hair care). Our strategic alliances, with wholesalers in these market segments, has positioned us among the leading importing companies in Africa. Africa Trading Group is specialized in the distribution of Premium spirits, such as cognacs, champagnes and whiskies. Our main clients, in this sector, are Embassies, Diplomats, Governments, Military and luxury hotels. This is a very important business sector for us. Hence, Africa Trading Group is continuously growing and expanding our product catalogue. This way the upper class, of each country, is able to obtain the high quality goods that, until now, were simply not available in Africa. Contrary to popular opinion, this is a sector with grand potential in Africa. In every country one is able to find beauty shops offering high quality perfumes and cosmetics. Slowly, but steadily, Africa Trading Group has contacted these beauty shop chains in order to create a market for ourselves (one that, today, is quite significant for our company). At present, Africa Trading Group distributes all the main cosmetic and perfume brands, in over 1,000 points of sale. Africa Trading Group has focused our efforts on the sale of professional hair care products. Africa Trading Group works closely with the top educators and education centers in Africa. Carefully, we’ve selected the best hair salons, in each country, and have shown them to use our products in the treatments that they offer their clients. The results have been better than we ever expected, making this one of the principal commercial segments of our company. This success has allowed us to expand our product catalogue resulting in Africa Trading Group continuously representing more and more brands in the African territory. The majority of the household products that we represent are sold throughout supermarkets. Our primary sales are comprised of razor blades, batteries, tissues and laundry detergents. Food and Beverages make up our leading sector, attracting the majority of our clients to our company. Our principal clientele are supermarkets. Africa Trading Group has an ample array of products, mainly of mass consumption, within this market segment; i.e. chocolates, cookies, juices, soft drinks, potato chips, etc. 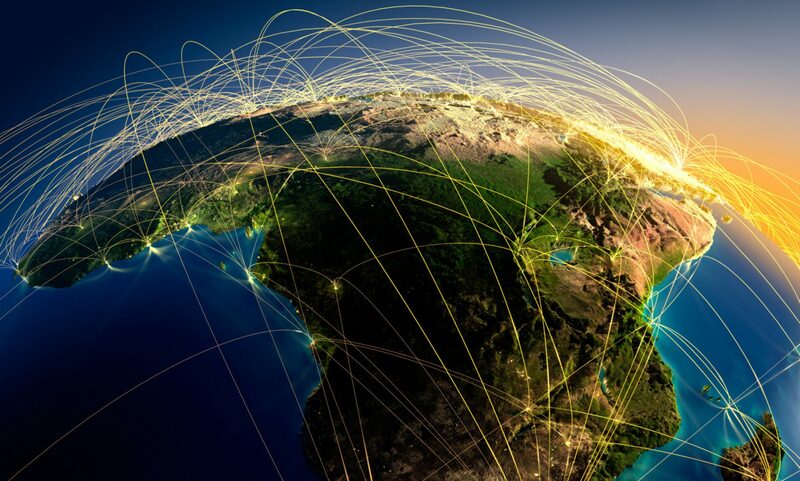 When Africa Trading Group first ventured into the distribution business in Africa, in 2006, our distribution network primarily aimed at supplying the large needs of West Africa. Today, Africa Trading Group is proud to say that our distribution territory has grown to encompass the majority of the African continent. The main distribution hub or warehouse of Africa Trading Group is located at Tanger Med Port, Africa’s largest and newest port. The safety and professionalism found at Tanger Med enables us to deliver our products within the time limits and without the delays that often result when using other African ports.